Winner of the 2014 Allure Best of Beauty Breakthrough Award. Wrinkles and lines aren’t the only signs of aging. Over time, the cheeks flatten, and the skin may begin to sag. This is caused by a natural loss of volume in the cheek area, or what the experts call age-related midface volume loss. 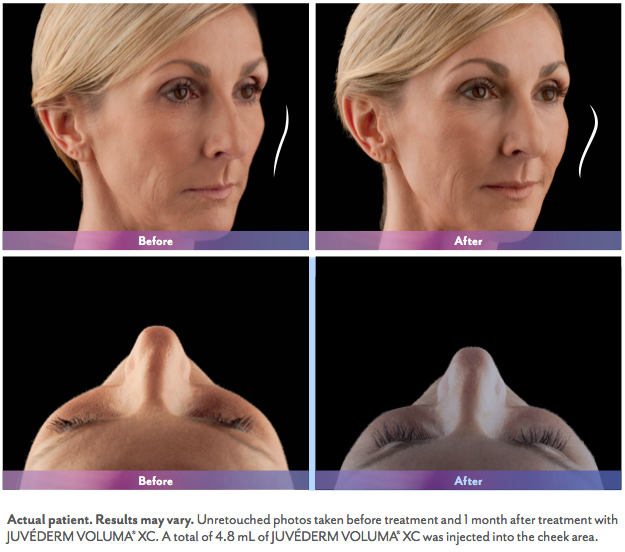 JUVÉDERM® VOLUMA XC is designed to add volume beneath the skin’s surface to lift and contour the cheek area with results proven to last up to 2 years.